Space Opera társasjáték - Magyarország társasjáték keresője! A társasjáték érték! A Space Opera egy nagyszerű társasjáték, 2 - 4 játékos részére, az átlagos játékidő 30 - 90 perc. A társast, 14 éves kortól ajánljuk kipróbálni. A játékmenet erősen épít a pakli építés mechanizmusra. Many intelligent species have learned to travel between the stars, developing the technology necessary for interstellar jumps. The first encounters between them did not go peacefully. During centuries, war and conflicts expanded affecting almost every corner in the galaxy. During the longest part of the galactic history, different species used to settle on the systems they arrived to. Instead of just exploring the galaxy, they were sending their overpopulation to colonize new homes. That caused many wars, because it’s not easy to share your home planet with a foreign species who has nothing in common with you. But everything changed when The Plague arrived. The Plague was an illness that affected all intelligent species all across the galaxy, decimating their population to the brink of extinction and ending wars. Survivors of each species regrouped as well as they could and, following severe isolation protocols, finally the Plague was almost eradicated although their customs changed forever. Since that day on, all species are nomads, because the void of space is the most aseptic environment, and they no longer settle on the systems they visit. The biggest part of the population stays on the surface of a planet the necessary time to get their esources and nothing more. 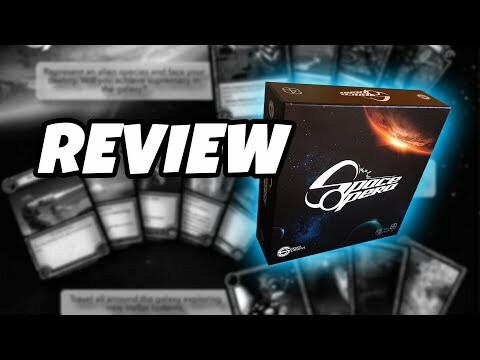 Space Opera is a card game for ages above 14. 2 to 4 players. Approximate duration of the game: between 30 and 90 minutes, depending on the number of players. Each player, represents an specie, fighting to achieve supremacy on the Galaxy (through the Extermination the other species or reaching Civilization Level 3 or more). The game could be played with using all the same deck or could be played in a Competitive Mode. In Competitive Mode, every player have their own deck with the specie and 40 resources cards previously chosen.